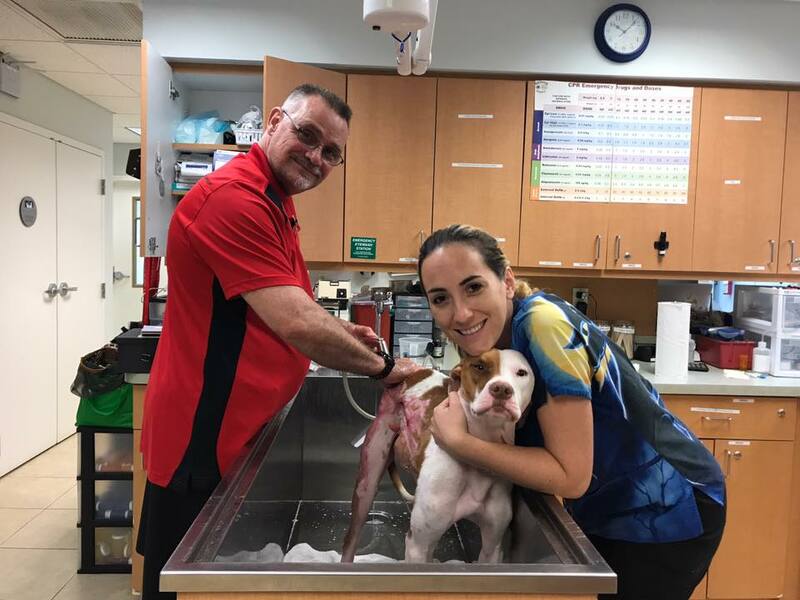 He went to stay at Jupiter Pet Emergency & Specialty Center, where he received multiple blood transfusions, daily baths and bandage changes, and treatments in the hyperbaric chamber to help reduce swelling and pain from the burns. 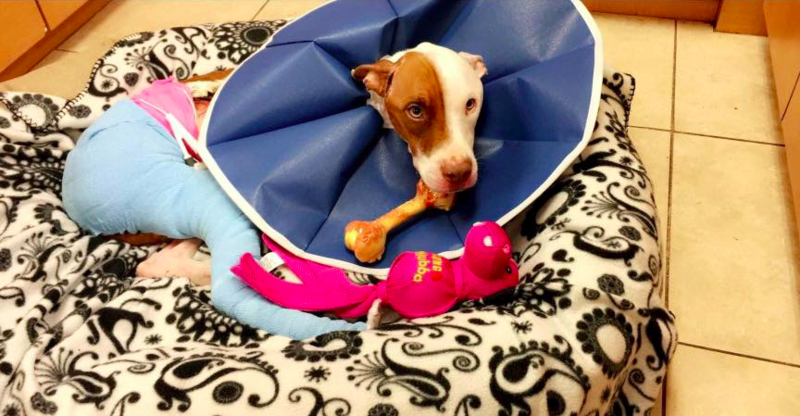 Thanks to the amazing vets and nurses at JPESC, after just a few weeks, Smokey was already doing so much better. He knew that they were all there to help him, and he became less afraid and more trusting. He still has a long way to go with his healing, but he’s on the road to recovery with a great outlook. Smokey went back to JPESC for another check-up and got to visit the staff while there. 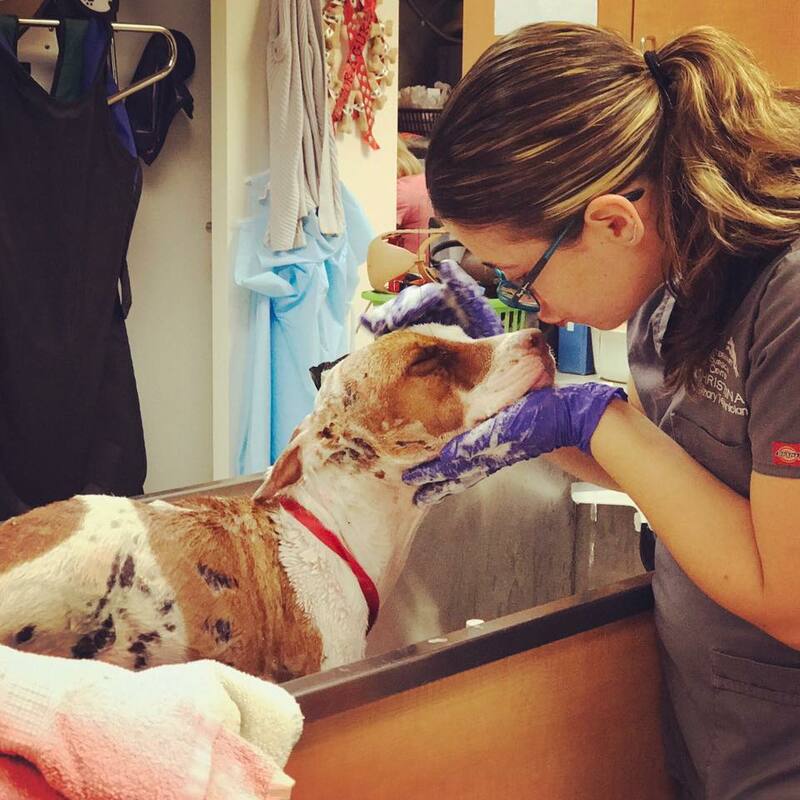 In the video below, you’ll see Smokey reuniting with the vet who helped save his life. By the look of Smokey’s reaction when he sees Dr. Latimer, it’s very obvious that Smokey loves him so much and is beyond thankful for everything he’s done to help him. So heartwarming! I’m so happy Smokey’s sad story wound up having a much happier ending.